Neon Genesis Evangelion Wallpaper: I do! Minitokyo »	Neon Genesis Evangelion Wallpapers » Neon Genesis Evangelion Wallpaper: I do! 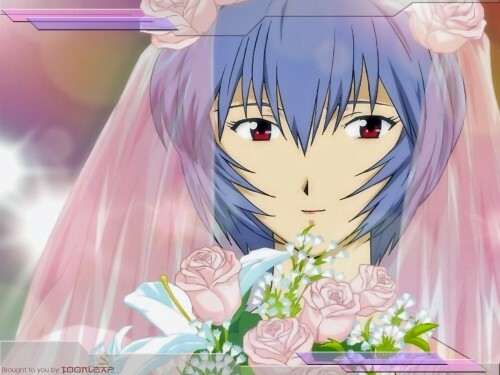 Rei Ayanami is ready to get marry....and you are the lucky one!....Enjoy! N-Nice! Beautifull! First time I see raise in a wedding gown! What a beaut! Picard: Don't have to finish it! I do, I DO! Rabbie: **closes book** Ahem! Well then, you may now kiss the bride. YES I DO. There's no way i'd decline. le the hell be frozen before i decline. Thanks a lot for the pic.